Check Point Software Technologies Ltd., today released its H2 2016 Global Threat Intelligence Trends, revealing that ransomware attacks doubled during the period. Out of all recognized malware incidents globally, the percentage of ransomware attacks increased from 5.5% to 10.5% between July and December 2016. “The core issue with ransomware is the general lack of strong pro-active security practices. The ability of hackers to receive payments via Bitcoin has greatly improved ransomware’s effectiveness. To effectively deal with zero-day ransomware, a multi-layered security architecture is the need of the hour. While real-time behavioral analysis to identify attacks before they begin to encrypt data is required, it is equally important to track down ransomware that evades the initial analysis.” said Bhaskar Bakthavatsalu, MD, Check Point, India and SAARC. “ A layered approach also ensures that the malware is quarantined, forensic analysis is done and the encrypted data is restored. It is time to look to the future and start preparing for what lies ahead” he added. Check Point researchers detected a number of key trends during the period: First, The Monopoly in the Ransomware Market – Thousands of new ransomware variants were observed in 2016, and in recent months we witnessed a change in the ransomware landscape as it became more and more centralized, with a few significant malware families dominating the market and hitting organizations of all sizes. Second,DDoS Attacks via IoT Devices – In August 2016, the infamous Mirai Botnet was discovered – a first of its kind- the Internet-of-Things (IoT) Botnet, which attacks vulnerable Internet-enabled digital such as video recorders (DVR) and surveillance cameras (CCTV). 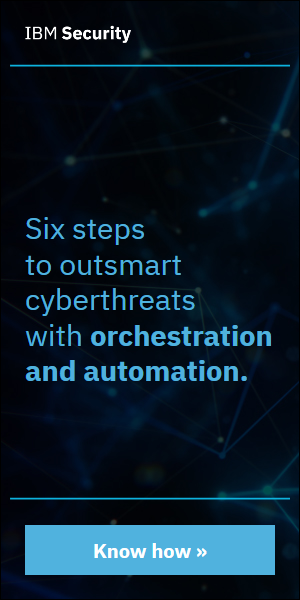 It turns them into bots, using the compromised devices to launch multiple high-volume Distributed Denial of Service (DDoS) attacks. It is now clear that vulnerable IoT devices are in use in almost every home, and massive DDoS attacks that are based on such will persist. The top malware detected during H2 2016 are being: Conficker (14.5%) – Worm that allows remote operations and malware download. The infected machine is controlled by a botnet, which contacts its Command & Control server to receive instructions. Sality (6.1%) – Virus that allows remote operations and downloads of additional malware to infected systems by its operator. Its main goal is to persist in a system and provide means for remote control and installing further malware. Cutwail (4.6%) – Botnet mostly involved in sending spam e-mails, as well as some DDOS attacks. Once installed, the bots connect directly to the command and control server, and receive instructions about the emails they should send. After they are done with their task, the bots report back to the spammer exact statistics regarding their operation. JBossjmx (4.5%) – Worm that targets systems having a vulnerable version of JBoss Application Server installed. The malware creates a malicious JSP page on vulnerable systems that executes arbitrary commands. Moreover, another Backdoor is created that accepts commands from a remote IRC server. Locky (4.3%) – Ransomware, which started its distribution in February 2016, and spreads mainly via spam emails containing a downloader disguised as a Word or Zip file attachment, which then downloads and installs the malware that encrypts the user files. Whereas the top ransomware during H2 2016 are: The percentage of ransomware attacks out of all recognized attacks globally almost doubled in the second half of 2016, from 5.5% to 10.5%. The most common variants detected were: Locky 41% – The third most common ransomware in H1, which increased dramatically in the second half of the year. Cryptowall 27% – Ransomware that started as a Cryptolocker doppelgänger, but eventually surpassed it. 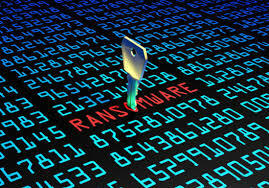 After the takedown of Cryptolocker, Cryptowall became one of the most prominent ransomwares to date. Cryptowall is known for its use of AES encryption and for conducting its C&C communications over the Tor anonymous network. It is widely distributed via exploit kits, malvertising and phishing campaigns. Cerber 23% – The world’s biggest ransomware-as-a-service scheme. Cerber is a franchise scheme, with its developer recruiting affiliates who spread the malware for a cut of the profits. And the top mobile malware during H2 2016 are : Hummingbad 60% – Android malware first revealed by Check Point research team that establishes a persistent rootkit on the device, installs fraudulent applications and with slight modifications could enable additional malicious activity such as installing a key-logger, stealing credentials and bypassing encrypted email containers used by enterprises. Triada 9% – Modular Backdoor for Android which grants superuser privileges to downloaded malware, and helps it to get embedded into system processes. Triada has also been seen spoofing URLs loaded in the browser. Ztorg 7%– Trojan that uses root privileges to download and install applications on the mobile phone without the user’s knowledge. And top banking malware are: Zeus 33% – Trojan that targets Windows platforms and often used to steal banking information by man-in-the-browser keystroke logging and form grabbing. Tinba 21% – Banking Trojan that steals the victim’s credentials using web-injects, activated as the users try to login to their bank website. Ramnit 16% – Banking Trojan that steals banking credentials, FTP passwords, session cookies and personal data. 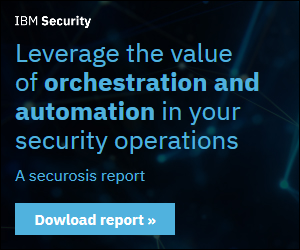 The statistics in this report are based on data drawn from the ThreatCloud World Cyber Threat Map.